Yesterday, I posted about to-do lists and tips for choosing a system, getting setup and maintaining your list. While I will backtrack a bit tomorrow and give you an overview of some of the more popular task and information management systems you can incorporate into your own process, today I am focusing on online task management tools. If you don’t have a need for a comprehensive project management tool or overall information management system, a simplified to-do list tool may be a perfect fit for you. 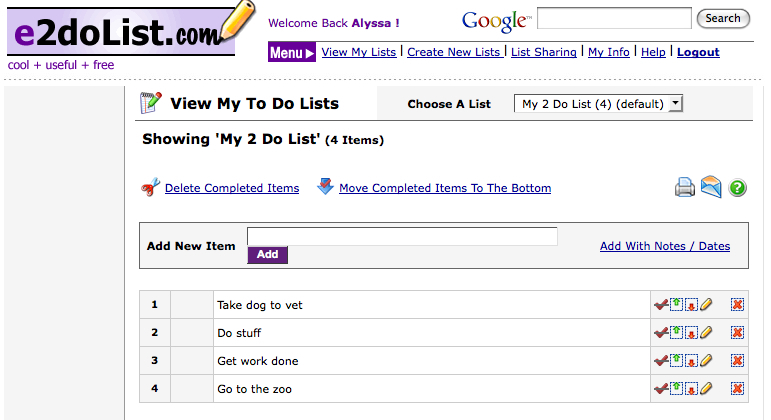 Here is a list of 12 online to-do list tools to check out. Bla-bla List: Bla-bla List is a simple and shareable list tool that lets you publish your lists with RSS, privately share your lists with anyone and e-mail yourself a copy of your list. e2doList.com: This tool lets you manage tasks in separate lists, add notes and reminders, and share your lists with others. Google To Do List: A simplified way to track tasks and enhance productivity, especially if you are already a Google product user. The Online CEO: The Online CEO provides a creative approach to tasks as it lets you assign points to each item and has a running points total so you can measure priority and productivity. You can also use a timer to keep track of how long you spend on each task. 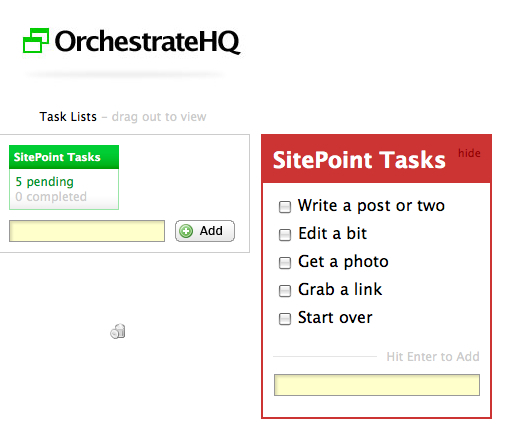 OrchestrateHQ: A quick and simple tool for creating and managing multiple to-do lists. You can navigate through your lists, maximizing one at a time. Remember The Milk: Remember The Milk is one of the most feature-rich task management tools I’ve seen. You can create, manage and organize tasks quickly and easily with extensive keyboard shortcuts. You can receive reminders via email, SMS, and instant messenger; tag your tasks; and locate your location-based tasks on a map. There is also a Pro version that provides an app for iPhone and iPod touch, and MilkSync for BlackBerry and Windows Mobile. Ta-da List: Ta-da List is a 37signals product that lets you create multiple lists and add, edit, re-order, and remove tasks from each list. 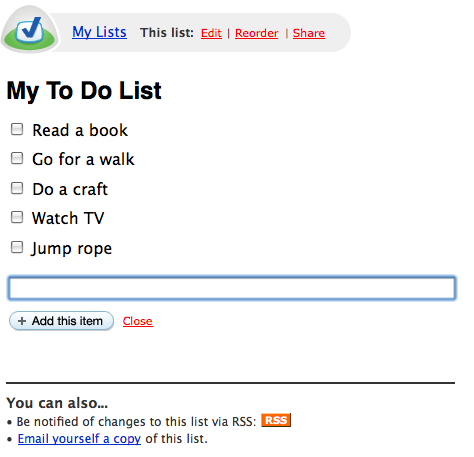 You also have the ability to share and create RSS feeds for your lists. 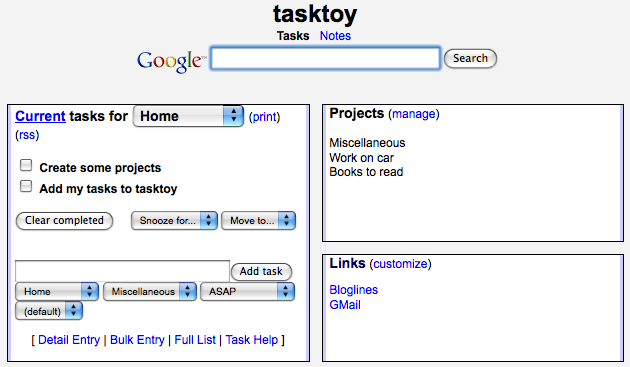 TaskToy: With TaskToy you can create individual tasks with multiple lists, recurring tasks, and use simplified project management actions. You can also print and share your lists, and access your data from your mobile device. 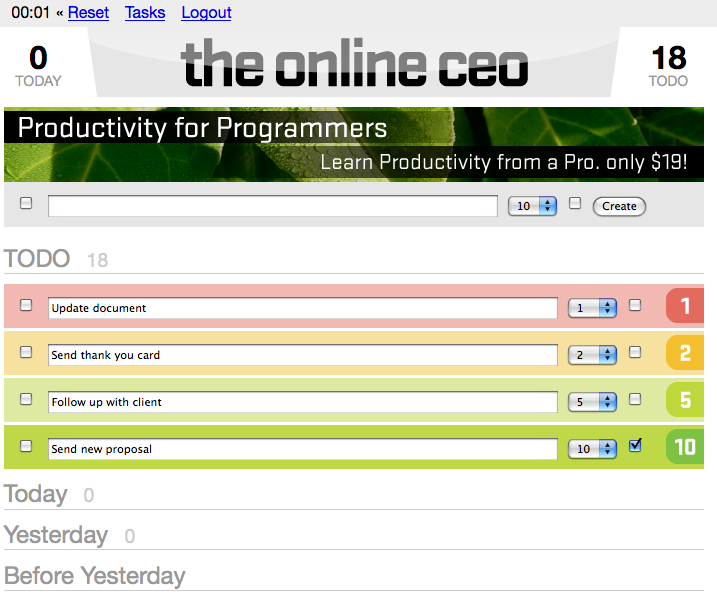 Toodledo: Toodledo allows you to organize and prioritize your tasks in a sortable online to-do list. You can setup e-mail and SMS reminders, and access your lists on your mobile phone, in your e-mail, on your calendar, in your RSS reader, via IM, and integrated directly into your web browser. Tudu Lists: Tudu Lists is a very simple open source application that lets you create and share lists, access your lists via an RSS feed, and modify it for your individual needs. 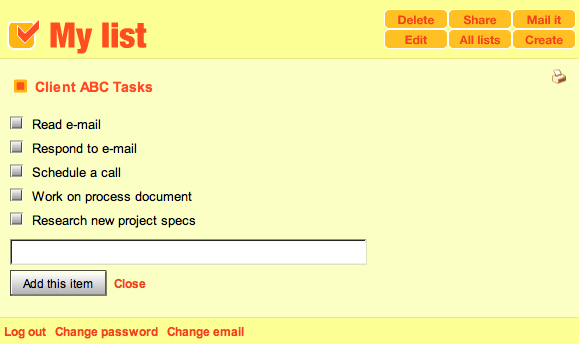 voo2do: This tool lets you organize tasks by project, add tasks by e-mail and track time spent on each task. You can also do some basic task sharing with the tool. 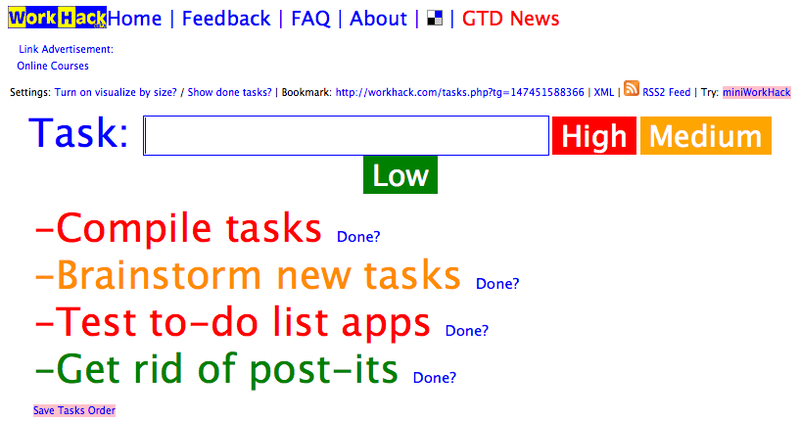 WorkHack: A whiteboard-based to-do list tool that is easy-to-use, supports multiple lists and RSS feeds. You can start using it right away, without signing up. Have you used any of these for task management? What online tool would you add to the list?